Frank Lee Berry, Jr., a third generation Houstonian, died Thursday, April 15, 2004 at the age of 82. He was born at home on June 15, 1921. 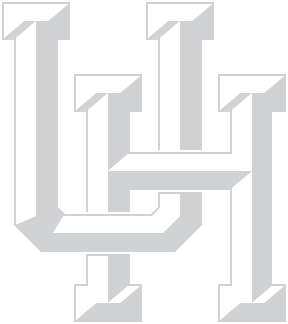 He graduated from the University of Houston in 1943 obtaining an accounting degree from the University of Houston Bauer College of Business. Although his degree was in accounting, his life-long career and love was in the interior design world. For more than 50 years he was an interior designer serving both A.I.D. and A.S.I.D. at local, state, and national levels. He was elected a fellow in the American Institute of Interior Designers in 1972. When Mr. Berry came to UH, there were only two buildings, E. Cullen and the science building. He used to come to UH on occasion and work with the design department. He also went to the school of Feather and Feather, located on Bernard Street in the Montrose area; this program used to turn out a lot of fine designers; opened in 1933 and closed in 1957 as no GI's were available. He has put UH, Rice University and several museums into his will, mostly for $5,000 to $10,000. His sisters went to Rice when it was called "The Institute". His grandfather was a Lieutenant who served under General Sam Houston at the Battle of San Jacinto. Family history here since 1836. The Frank L. Berry, Jr. Endowment in Interior Design in the College of Liberal Arts and Social Sciences at the University of Houston. The annual distribution from the endowment may be spent by the College of Liberal Arts and Social Sciences on, but not limited to, student scholarships, research, professional development, travel, library materials, office/clerical support, equipment acquisition, or on other areas deemed to enrich and enhance the area of interior design. Mr. Berry was a UH 1927 Society member.